In an ever-evolving landscape, Almac understand the increasingly complex nature of clinical supply management for sponsors with variable recruitment patterns and patient demand leading to disjointed and costly trials, resulting in frequently missed milestones. To create an alignment between the digital and physical clinical supply chain is challenging. The consequence of a fragmented approach managed by multiple vendors, is that vital study data is not aligned creating additional layers of complexity resulting in increased risk, time and cost for the sponsor. Only ONE Unified Clinical Trial Supply Solution has redefined the supply chain experience to create a responsive end-to-end process that bridges the physical and digital connect. The result – enhanced visibility and accuracy throughout the lifecycle of a sponsor’s study. Combining cross functional expertise and leading technology applications: IRT (IXRS®) + ERP (COSMOS) + Temperature Management (TempEZ™) + Forecasting (SupplyWise™), this Global Technology Platform has the combined expertise to securely and accurately collect and share pre-validated patient data helping to develop the solutions needed to solve the challenges sponsors face. 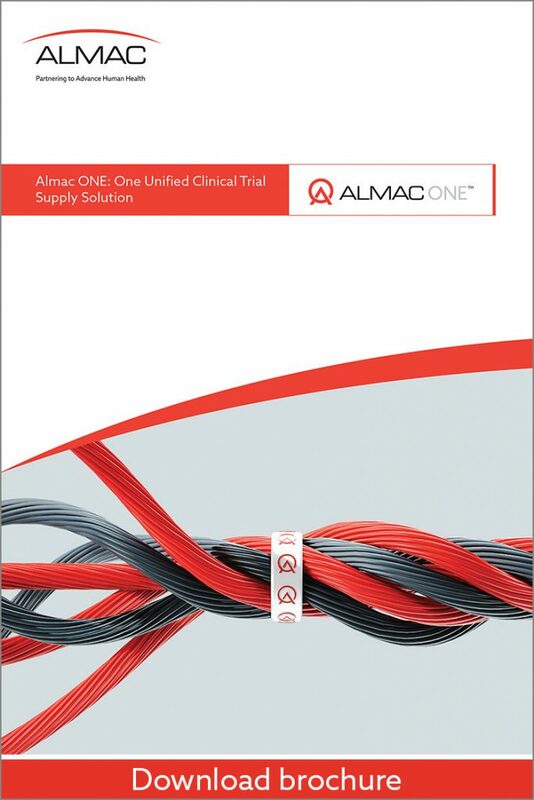 This enables sponsors to streamline their studies providing a unified view of data achieving Almac ONE’s goal of creating optimized, efficient and patient-focused Clinical Supply operations.